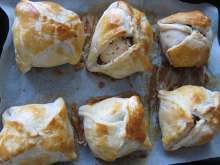 Apple, walnuts and honey covered in crispy puff pastry. Served cool. Very tasty with one scoop of vanilla ice cream. 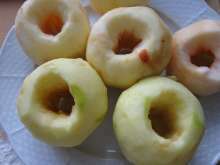 Apples - 6 pieces, peel and carefully core. Sprinkle with lemon juice. 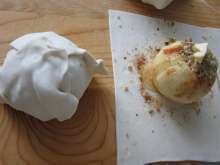 Use a rolling pin to spread the puff pastry on a floured board until it is about 3 millimeters thick. Split it into 6 equal pieces. Place an apple in the centre of each piece. Sprinkle apples with vanilla and cinnamon sugar. Pour walnuts inside the cored-out apple. 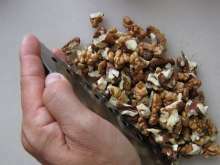 Pour one tablespoon of honey on top of the walnuts. Lay small piece of butter on top. 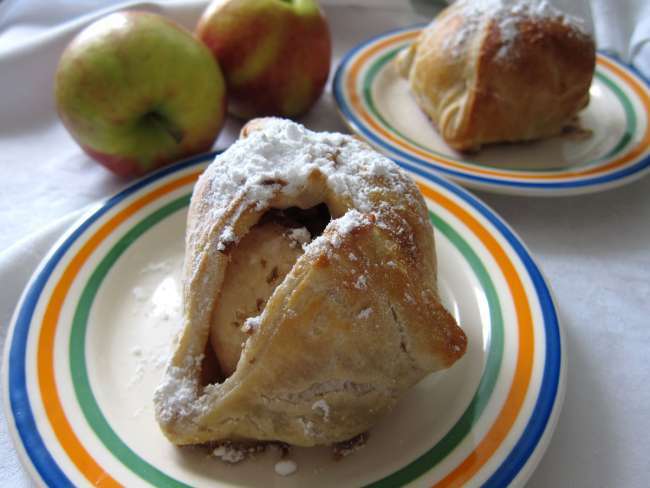 Stick edges of pastry so that the apple is covered. 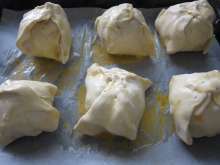 Place apple bundles in the baking tin lined with parchment paper. 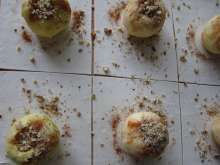 Brush with beaten egg and prick the pastry with fork in several places. Bake in preheated oven at 355°F (180°C) for about 25 minutes until golden. When baked, sprinkle them with powdered sugar.